We are blessed, aren't we? God has seen us through triumphs and grief through life. God loves you. He truly cares for you. We pray that Music In The Park will be a true blessing as you gather with Christians from all walks of life. There will be several Pastors available that day in the Westminster Park if you'd like prayer or to learn more about the Christian Walk. We thank you and appreciate you. A full list of participating churches has not been fully established. So this section will be filled in more in due course. Thank you for following the progress of Music In The park. 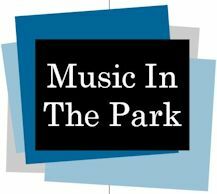 Copyright 2015 Music In The Park. All rights reserved.